If you're good at collecting emails, the Archive button in Gmail is really helpful. Fortunately, most of these archived emails are never to be seen or searched again. But others we need to get back to later. 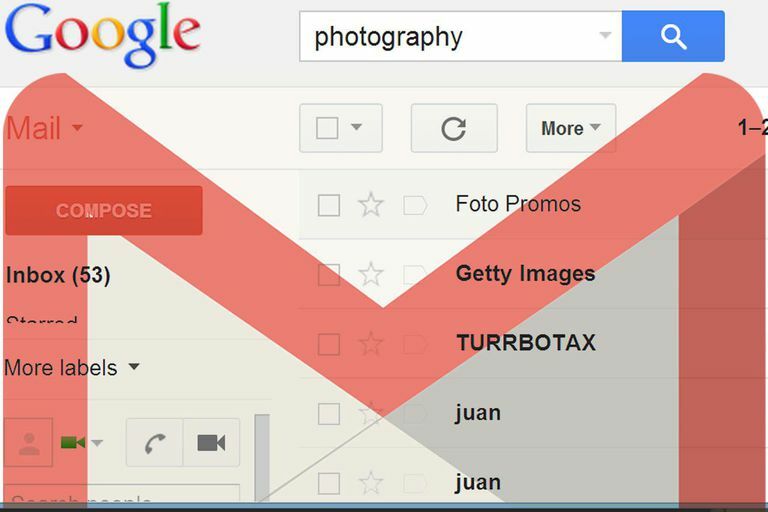 Using easy search and clever operators, Gmail lets you find emails precisely and fast. Usually, the big search field that runs across Gmail's top border works. Sometimes, however, the number of emails returned is just too large. Maybe you can add a further term or the name of the sender? That's possible, but do it wisely. Using some clever search operators, you can narrow your search significantly and precisely. You can search in the Subject line only, for example, or combine that with a date range, a particular sender, and exclude all messages with attachments. Type search terms in Gmail's search field. You can go to mail search quickly by pressing /. Hit Enter or click the magnifying glass button. Click the Show search options down arrow in the Gmail search field. Search senders' email addresses and names using the From field. Search direct (To: field) recipients' names and addresses using the To field. Search email subjects using the Subject field. Search emails' body text using the Has the words field. Search for a phrase with quotation marks. Search for emails that contain one word (or phrase) or another, use "OR". 'shepherd OR macaroni' (without the quotation marks), finally, finds all emails that contain either "shepherd" or "macaroni" (or both). Search for emails that do not contain certain words in their text using the Doesn't have field. Make sure Has attachment is checked to find only emails that contain attached files. Search emails' sent date using the Date within fields. Click the Search Mail button below the search fields. You can now narrow your search further in the main search field using the operators below. Of course, multiple search options can be combined to find, say, emails from a certain sender that contain attachments and were sent during the past year. subject: - Search the Subject line. Example: "subject:bahamas" finds all messages with "bahamas" in the Subject. from: - Search Gmail for sender name and email address. Partial addresses are okay. Examples: "from:heinz" finds all messages from "heinz@example.com", but also all messages from "your.heinz@example.com"; "from:me" finds all messages sent by yourself (using any address set up for use in Gmail). to: - Search the To line for names and addresses. Example: "to:quertyuiop@gmail.com" finds all messages sent directly (not via Cc: or Bcc:) to quertyuiop@gmail.com. cc: - Search recipients in the Cc field. Example: "cc:quertyuiop@gmail.com" finds all messages that were sent to quertyuiop@gmail.com as a carbon copy. bcc: - Search Gmail for addresses and names in the Bcc field. Note this only works with emails you sent to Bcc recipients from Gmail. Example: "bcc:heinz" finds all messages that you sent with, for example, "hein@example.com" in the Bcc field. Example: "label:toodoo-doll" finds all messages labeled "toodoo doll". has:userlabels - Search Gmail for emails that have any labels except those used by default (i.e. not including labels such as "inbox", "trash" and "spam" but including Smart Labels). has:nouserlabels - Search for messages that have not been labeled with any labels except those that Gmail uses by default. is:starred - Search Gmail for messages that are starred. has:yellow-star - Search Gmail for messages with a yellow star. has:red-star - Search Gmail for messages with a red star. has:orange-star - Search Gmail for messages with an orange star. has:green-star - Search Gmail for messages with a green star. has:blue-star - Search Gmail for messages with a blue star. has:purple-star - Search Gmail for messages with a purple star. has:yellow-bang - Search Gmail for messages with a yellow exclamation mark. has:red-bang - Search Gmail for messages with a red exclamation mark. has:purple-question - Search Gmail for messages with a purple question mark. has:orange-guillemet - Search Gmail for messages with two orange forward arrows. has:blue-info - Search Gmail for messages with a blue i.
is:unread - Search Gmail for new and unread messages. is:read - Search Gmail for messages that have already been opened. is:important - Search Gmail for messages that are marked important for Priority Inbox. has:attachment - Search Gmail for messages that have files attached to them. filename: - Search within file names of attachments. You can also search for file name extensions to restrict your search to certain file types. Example: "filename:.doc" finds all messages with word processing attachments. is:buzz - Search Gmail for Google Buzz posts. is:chat - Search Gmail for chat logs. in: - Search in a standard "folder". You can search in Drafts, Inbox, Chats, Sent, Spam, Trash and anywhere (for everything, including Spam and Trash). Example: "in:drafts" finds all messages in your Drafts folder. Example: 'circle:"my \"sailing\" circle" turns up all emails from people in your 'my "sailing" circle" Google+ circle. has:circle - Search Gmail for messages from somebody in any of your Google+ circles. after: - Search for messages sent on or after a date. The date must be given in YYYY/MM/DD format. Example: "after:2005/05/05" finds all messages sent or received on or after (i.e. including) May 5, 2005.
before: - Search Gmail for messages sent before a date. Example: "before:2005/05/05" finds all messages sent or received on May 4, 2005 and earlier. Example: "larger_than:200k" finds all messages that exceed 200,000 bytes in size. size: - Search for messages exceeding the given size in bytes. Example: "size:500000" finds emails bigger than 500,000 bytes or half a megabyte. deliveredto: - Search Gmail for email with a certain email address in a "Delivered-To:" header line. Example: "deliveredto:me@example.com" finds messages that have "me@example.com" in a "Delivered-To: header, because it has been forwarded from that address, for example. rfc822msgid: - Search for the message with the — just about certainly unique — message ID. Gmail will not search for messages that refer to the message ID (replies, for example). Example: "rfc822msgid:wW28fb6uf@mail.example.com" finds the message with "wW28fb6uf@mail.example.com" in the "Message-ID:" header field. By default, Gmail combines terms with (an invisible) "AND". Examples: "shepherd macaroni" finds all messages that contain both "shepherd" and "macaroni"; "before:2005/05/05 AND after:2005/05/04" finds all messages sent or received on May 4, 2005.
"" - Search for a phrase. Case does not matter. Examples: "shepherd's macaroni" finds all messages containing the phrase "shepherd's macaroni"; 'subject:"shepherd's macaroni' finds all messages that have "shepherd's macaroni" in the Subject field. + - Search for a term exactly as typed. Example: "+shepherds" finds all emails that contain "shepherds", but not those containing just "shepherd" or "shehperds" alone. OR - Search Gmail for messages containing at least one of two terms or expressions. Examples: "shepherd OR macaroni" finds messages that contain either "shepherd" or "macaroni" or both; "from:heinz or label:toodoo-doll" finds messages that either come from a sender that contains "email.guide" or appear under the label "toodoo doll". - - Search Gmail for messages that do not contain a term or expression. Examples: "-macaroni" finds all messages that do not contain the word "macaroni"; "shepherd -macaroni" finds all messages that contain the word "shepherd" but not "macaroni"; 'subject:"shepherd's macaroni" -from:heinz' finds all messages with "shepherd's macaroni" in the subject that were not sent from an email address or name containing "heinz". () - Group search terms or expressions. Examples: "subject:(shepherd macaroni)" finds messages that have both "shepherd" and "macaroni" somewhere in the Subject line (but not necessarily as a phrase); "from:heinz (subject:(shepherd OR macaroni) OR label:toodoo-doll)" finds all messages from a sender who has "email.guide" in their name that either have "shepherd" or "macaroni" (or both) in the Subject line or appear under the label "toodoo doll". Example: "lang:French" returned all emails that contain at least un peu de Français. You can also bookmark Gmail searches easily for later repetition.